Silent Sky Project#47 October 8th 2011, 4.47 – 5.17 pm, 3 participants, New York City, USA. 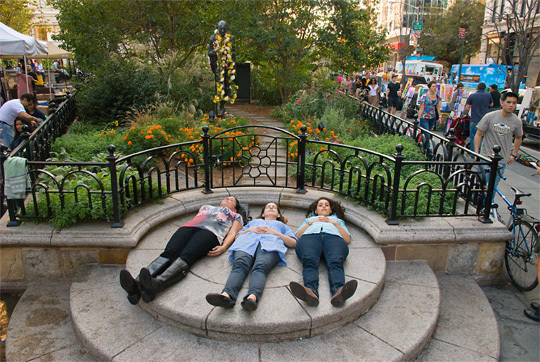 At the base of the statue of Mahatma Ghandi three woman of New York City looked at the sky in silence for 30 minutes, in Union Square Park. The statue is always adorned with fresh flowers. 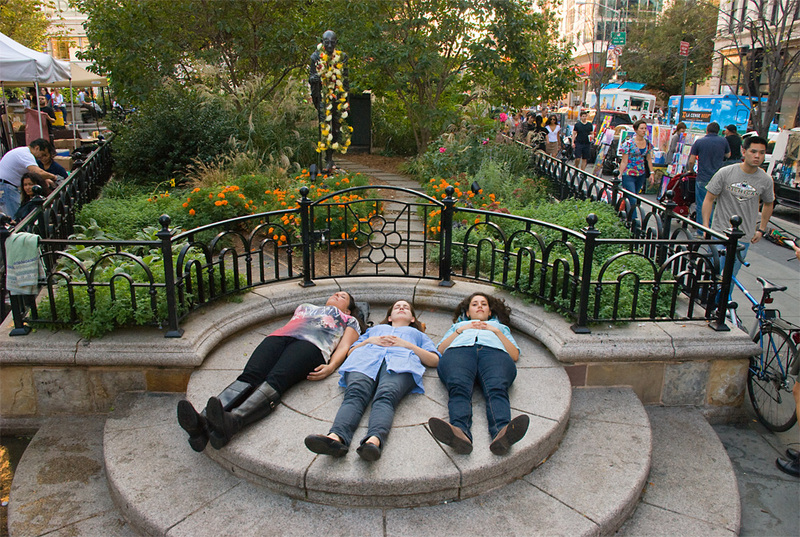 The project was organised by the festival Art in Odd Places, 14th street New York. Thanks to: AIOP -art in odd places-. Director: Ed Woodham, Curator: Kalia Brooks.